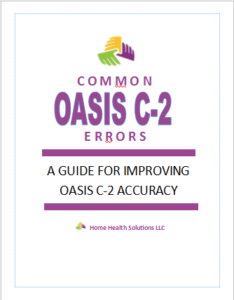 Editor’s note: Today’s post concludes our four-part series on common home health coding errors. 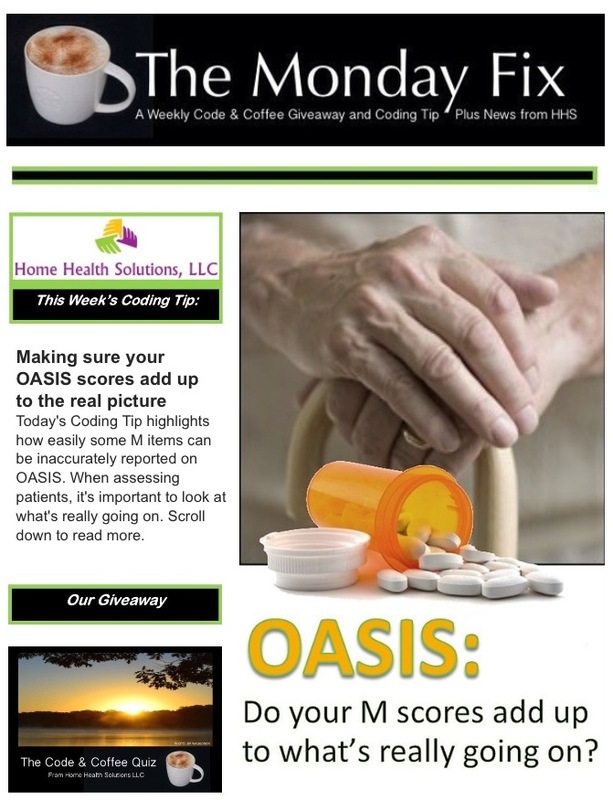 If you’d like to receive more home health coding tips in your Inbox each week, sign up for our free email, The Monday Fix. 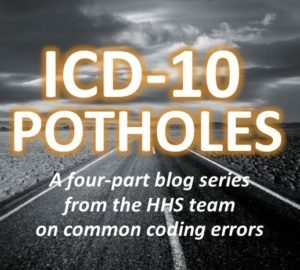 Seeing existing codes in a patient’s medical record can sometimes be distracting to home health coders, particularly novice coders who don’t yet feel confident in their own judgment. It’s tempting to look at the codes someone else has assigned, and use those codes as a starting point. But those codes can be misleading — especially if they were assigned prior to the patient’s admittance to home health, during treatment in an inpatient facility, where the coding rules may be different. 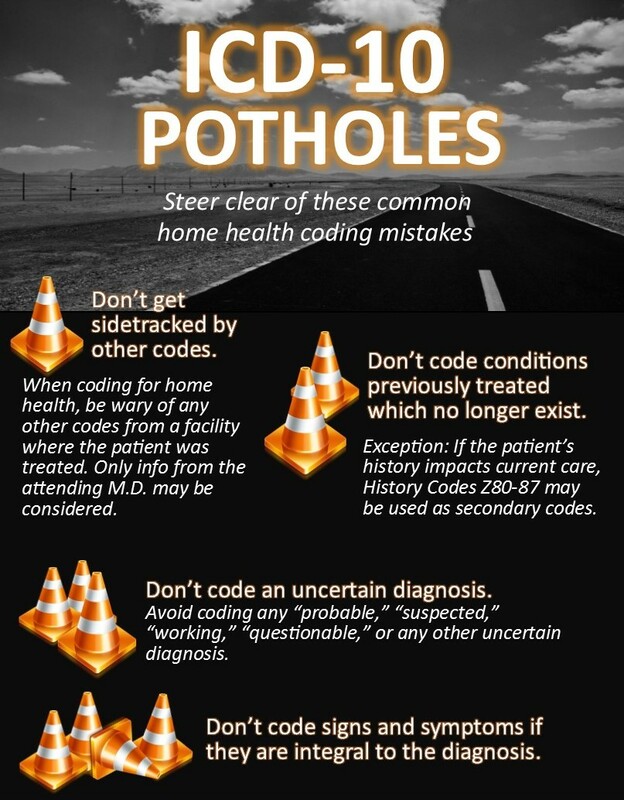 Home health coders need to be wary of any previously assigned codes encountered in the medical record, focusing instead on assigning new codes directly from the M.D.’s written notes. Codes from skilled nursing facilities, wound care centers or clinics may have little bearing on the home health episode. Coding guidelines for those facilities can sometimes differ in important ways from coding guidelines for home health — and in some cases, codes from facilities may not be specific enough. As an example, if a patient with Type 2 diabetes and peripheral neuropathy has been referred to home health, the skilled nursing facility where the patient was treated may have selected E11.9 (Type 2 diabetes without complications) as the code. If documentation from the M.D. during the patient’s hospital stay establishes that the patient has peripheral neuropathy due to diabetes, E.11.9 would not be the correct code. The coder would need to select E11.42. Written notes from the M.D. supercede any code selected by any facility. Keep your eyes on those written notes, coding only from what has been documented there, and it becomes easier to avoid a coding error. This was the fourth in a series of blog posts about common coding errors. Did you miss any of these other posts? Click here to read about coding an uncertain diagnosis. 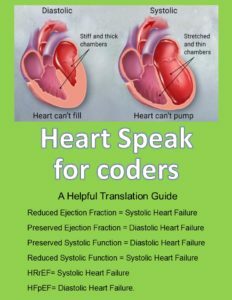 Click here to read about coding signs and symptoms. Click here to read about coding previously treated conditions. Our Absolute Beginner course guides you through the basics of ICD-10, while our Absolute Auditor workshops for intermediate level coders offer training in both ICD-10 and OASIS. HHS is excited to announce that the May 17-20 session of Absolute Auditor in Bessemer, AL, will be available via Live Stream as well. To read details about our classes, click here. 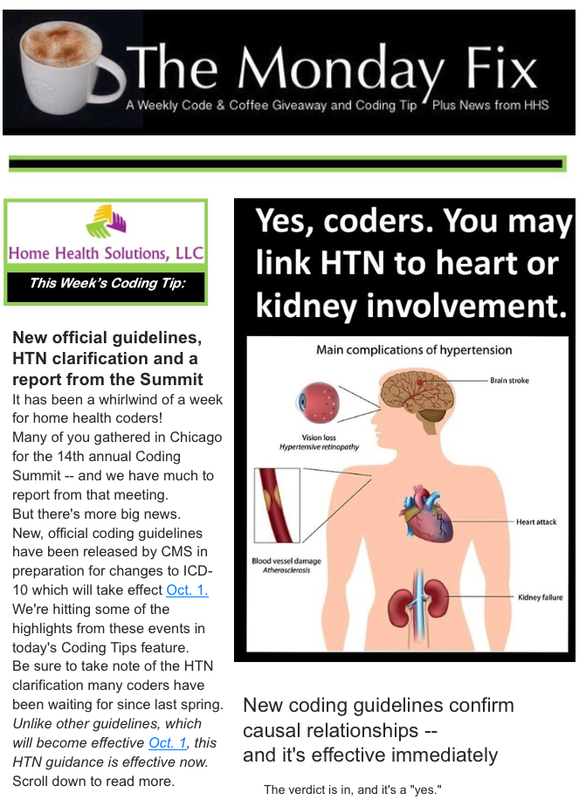 Editor’s Note: Our four-part series on common home health coding errors continues today, with a look at when home health coders should include codes for signs and symptoms. Don’t code them if they are integral to the disease or condition with which the patient has been diagnosed; do code them if they are not. I f an asthma patient experiences wheezing, for example, it’s a routine symptom of asthma and should not be coded along with the asthma. If a patient with myocardial infarction experiences chest pain, a symptom routinely associated with MI, coding the MI is enough. 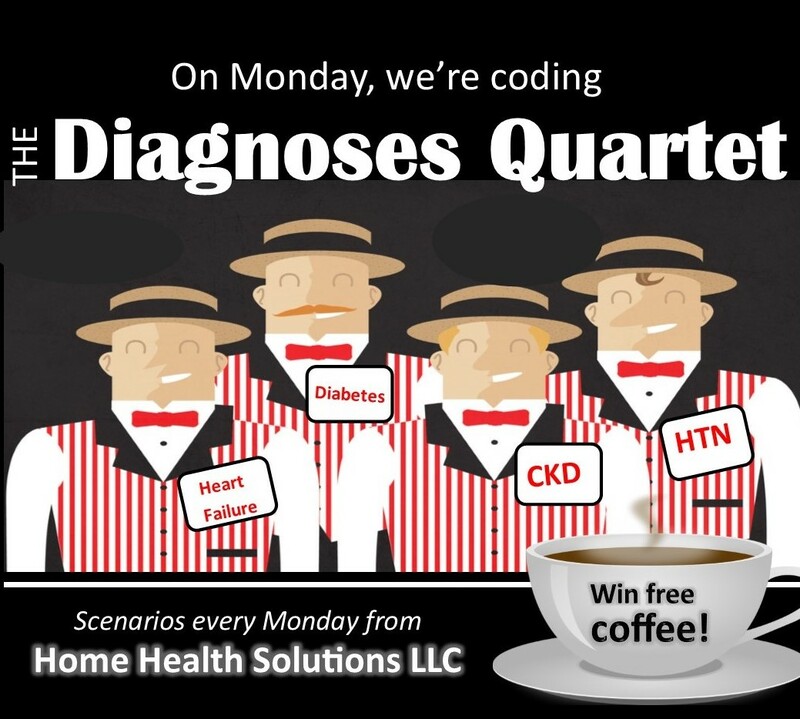 Home health coders don’t usually code signs and symptoms, relying instead on confirmed diagnoses: first, the primary diagnosis which is the reason for the encounter, and next all co-existing conditions which have been documented. 1. There is no specific diagnosis in the medical record. Since you always code to the highest degree of certainty, and there is no certain diagnosis, it may be acceptable to code certain signs and symptoms in lieu of a diagnosis. 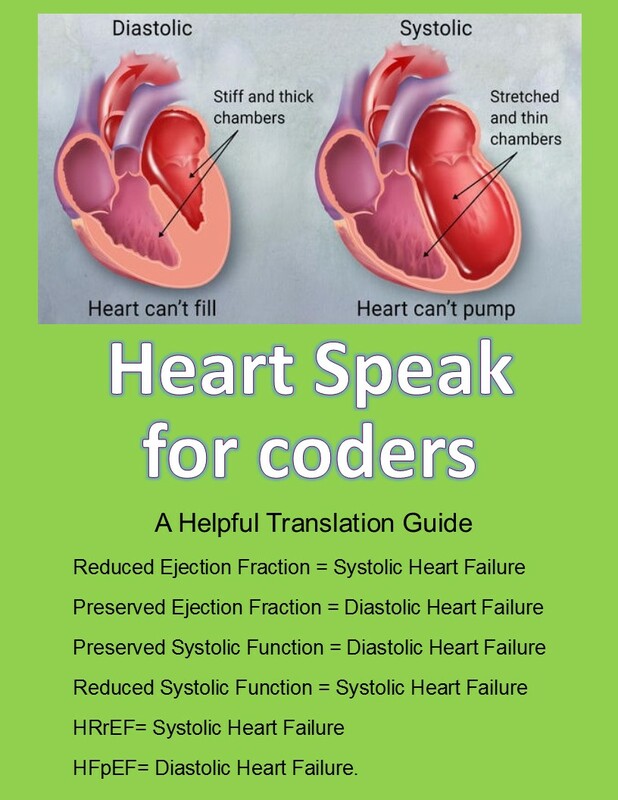 “In this case, the coder cannot code ‘might haves,’ so the only option left is to code the edema and shortness of breath, as these would be the focus of the home health episode,” says Heather Calhoun, Director of Special Appeals and Project Management at HHS. 2. If there IS a diagnosis in the medical record, but documented signs and symptoms are NOT integral to or associated with the confirmed diagnosis, it is acceptable to code them. An example might be a patient with a diagnosis of CHF who has been seen by the physician after the family reports episodes of “short term memory loss.” If the memory loss is not related to any diagnosis in the M.D. documentation, the home health coder would use “memory loss” as one of the co-morbid diagnoses. Note that the “memory loss” would be important to report because it impacts the patient’s ability to improve, and to implement certain interventions in meeting goals. Determining whether signs and symptoms are routine manifestations of a disease or condition can sometimes be tricky for coders, and may require researching a disease or condition for clarification. When in doubt, online coding forums can be great places to seek the opinions of more experienced coders who are usually happy to share their insight, especially if you query rarely. Please note that forum courtesy dictates limiting the number of questions posed, and the frequency of questioning. 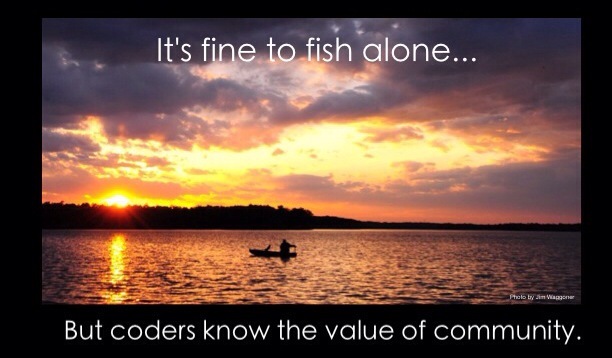 Keep in mind that other coders are working on their own files, too, and taking time away from their work to answer. Coders who routinely ask for forum assistance with numerous cases often find the number of replies dwindling. Be sure to visit the HHS blog again on Wednesday, when we’ll review another common home health coding error, discussing when it is appropriate to code a patient’s history. 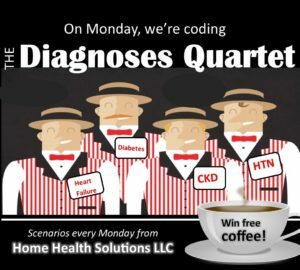 If you missed Monday’s post, click here to read our advice for coding a vague or uncertain diagnosis. The May 17-20 session of Absolute Auditor in Bessemer, AL, a suburb of Birmingham, will offer intermediate level ICD-10 and OASIS review. The workshop will be available via Live Stream as well. 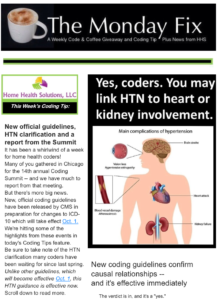 Editor’s Note: This article appeared in the April 18 issue of The Monday Fix, our weekly email delivering home health coding tips and news of interest to home health coders. Feeling comfortable with ICD-10-CM yet? You’re not sweating alone, though. Assimilating some 68,000 codes is a huge undertaking, and even the “industry experts” are finding glitches, contradictions and confusing spots within this massive code set. At last count, some 2,564 changes to the ICD-10-CM classification set are expected to be implemented Oct. 1: at least 1900 new codes, 351 revised codes and 313 deleted codes. A few Excludes Notes will shift and others will disappear completely in this first reworking of the code set since its implementation at the first of 2016. Home health coders are awaiting the changes with a mix of curiosity, anticipation and a bit of apprehension. 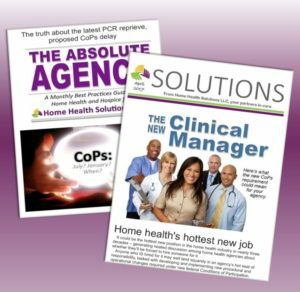 Meanwhile, slightly less attention has been paid to some other significant changes coming at the first of 2017, although these changes could have a substantial impact on home health agencies. The Outcome and Assessment Set generally known by its acronym, OASIS, is undergoing its own revisions, with new items, renumbered items, and some other changes in how data is collected. 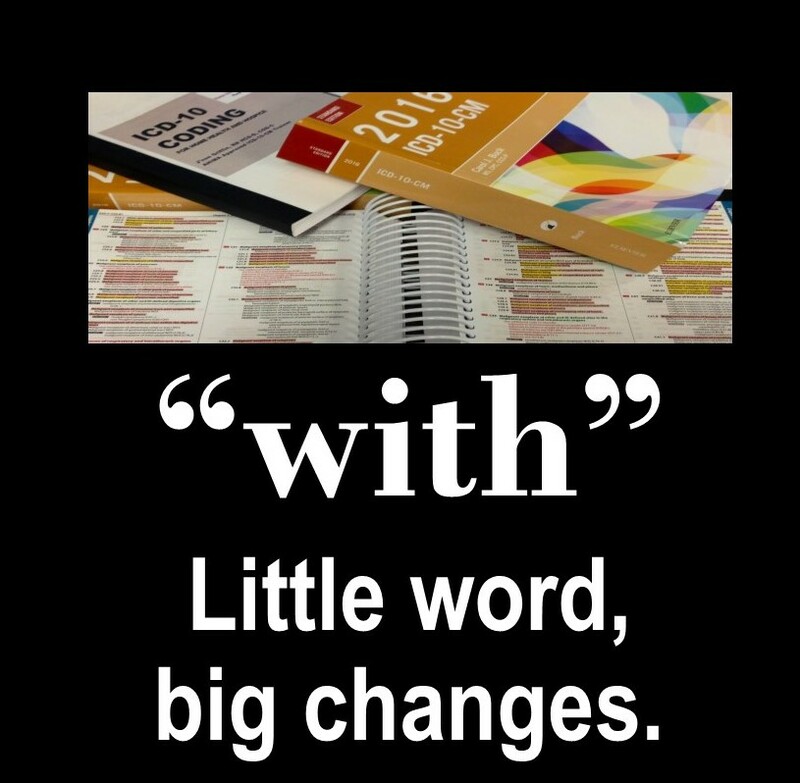 Why are these revisions so important to home health care? 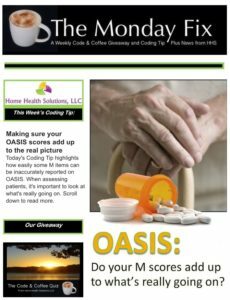 OASIS, implemented as part of the Improving Medicare Post-Acute Care Transformation Act generally known as IMPACT, has a huge impact on home health agencies in numerous areas. The data from OASIS affects patient outcomes, STAR Ratings, reimbursement, and Value-Based Purchasing. If an episode of home health care for a patient could be compared to a race to the finish line (quality outcome), collection of the OASIS data might be the pace car, going first to test track conditions, look for obstructions, set the pace and establish the positioning of all other cars. Proposed changes to OASIS for Jan. 1, 2017, are known as the OASIS-C2 data set. The Centers for Medicare and Medicaid Services has opened a public comment period to solicit input on OASIS-C2 from April 1 through May 31. In soliciting these comments, CMS hopes get a firmer idea about burden estimates from agencies affected. CMS is especially interested in suggestions for how to enhance the quality, utility and clarification of the information to be collected. An agency may determine, for example, that revisions will require additional monies for training, that additional time may be required to complete the OASIS, or that reimbursement to the agency and publicly reported outcomes may be affected. In the SEARCH box at the top of the page, type OASIS-C2 to go to the appropriate menu. Look for the Comment Now button and follow the prompts. 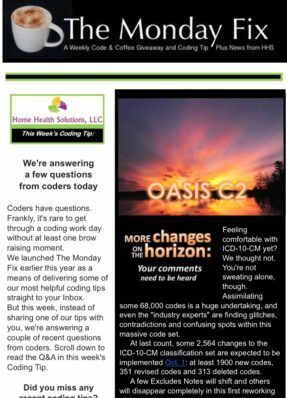 Would you like to subscribe to our free weekly email delivering home health coding tips and news of interest to home health coders? Click here to read more about The Monday Fix.